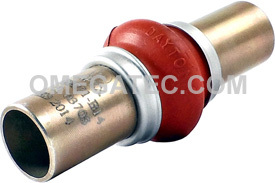 MS20271 series Apex military specification universal joints, heavy duty. MS20271 military specification universal joints have undergone qualification testing and meet or exceed the requirements of Military Specification MIL-J-6193 and Standard Drawing MS20271. Apex military specification universal joints are not adversely affected by fretting corrosion or Brinelling from vibration, shock loads or overloads. Used throughout aerospace, the military, industrial, construction and performance racing industries. Apex military standard universal joints can be ordered with or without protective lubrication covers. Apex military specification universal joints require minimal maintenance; in most cases, the original may last the service life of the vehicle or machine. MS20271 mil spec universal joints have undergone qualification testing and meet or exceed the requirements of military specification MIL-J-6193 and standard drawing MS20271.